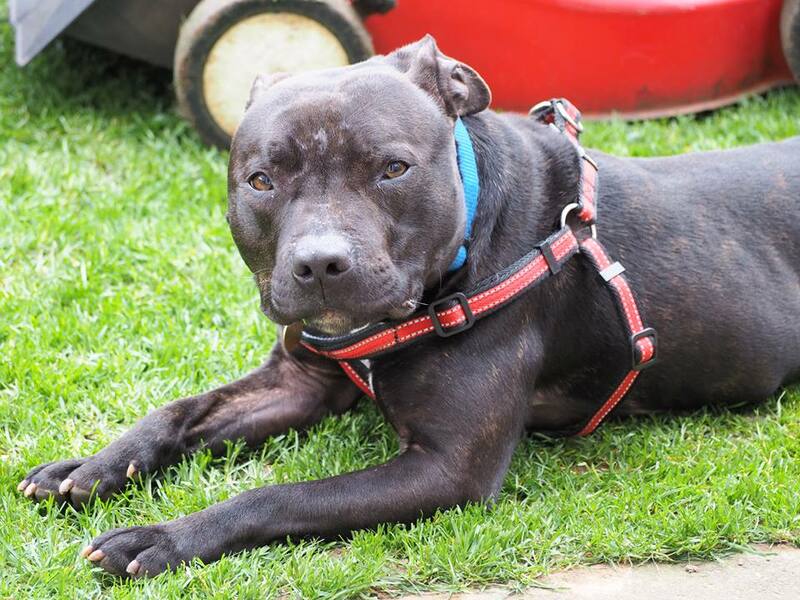 **ADOPTED** FRANK – soft chunky Staffy lad loves tummy rubs! Frank is a total softie Staffy who is 2-3 years old. He is a chunky short, stocky lad with a beautiful shiny black/brindle coat. Frank is currently living in a foster home living with a female Staffy and a cat who he is fine with. He is a fairly laid back boy who rolls on his back for tummy tickles from everyone he meets! 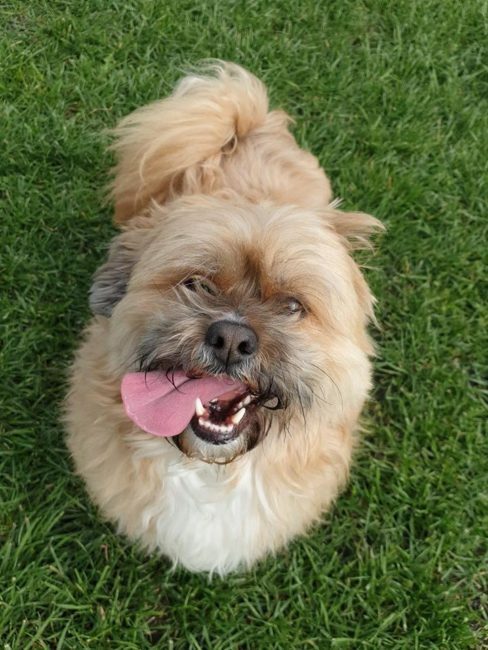 He will take a little settling into a home, as we don’t think he’s been used to being allowed the full run of the house before, so gets excited and runs around a lot! He is fully housetrained though, and settles well when he’s confined to one room (he sleeps happily in the kitchen overnight). Frank is a dream to walk – he doesn’t pull on the lead and greets other dogs nicely. He also travels well in the car. 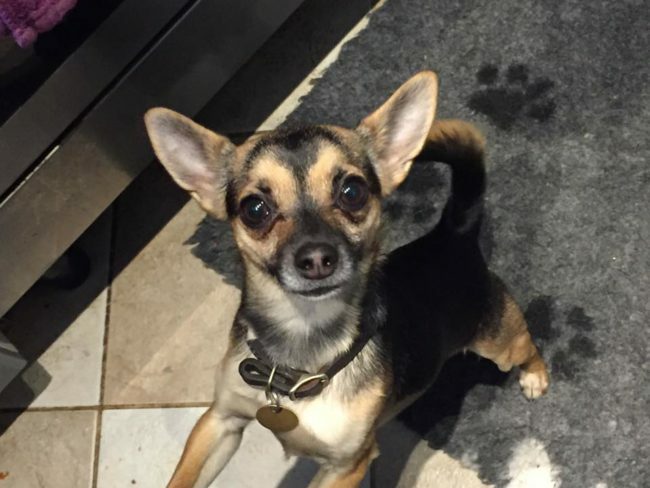 We do not know how Frank is with smaller children, so needs a home with children aged 10+. He will be fine to be left for a few hours once settled into his new home. He really is an ambassador of the Staffy breed, and is a little cracker who deserves a 5* home. This entry was posted in Good with cats, Good with dogs, Happy Endings, Male, Medium by Amanda HYPS. Bookmark the permalink.